One of the long-term goals is to better replicate the paperwork, such as waybills, used to operate the railroad. While it's easy to address either the shipper or receiver that is online in New Britain, it's often more difficult to determine the origination or destination of off-line cars. A major commodity for most towns in this era are automobiles. Autos were shipped in 40' and 50' Automobile Boxcars, which frequently had loading racks that allowed one or more cars to fit above cars loaded on the floor of the boxcar. Some Auto Cars had end doors, and most (all?) had double doors to allow loading from the side. I believe 3 cars would fit in a 40' Auto Car, and 4 in a 50' Auto Car. 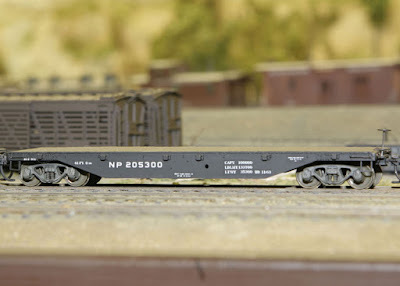 I'll address the necessary freight cars in a future post. 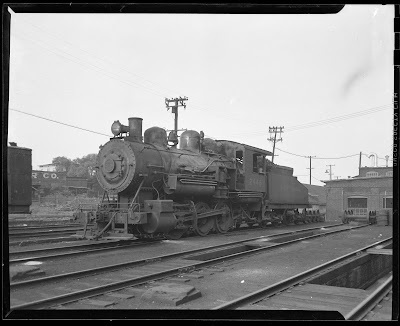 Dennis DeBruler has a great post on his blog with lots of photos of how autos have been transported by rail over the years. Scroll down, because there are more pictures below the modern auto racks. In most cases Autos were unloaded at bulk/team tracks, but not all towns had concrete (un)loading ramps, so I think that in many cases cars would be delivered to a nearby town. I don't know if the wooden platforms at a typical freight house was sufficient to unload automobiles. In the towns that have (un)loading facilities, they didn't always have end ramps to use the end doors. Based on the 1% waybill study, between 1950 and 1954 there were an average of 377,500 boxcars carrying passenger automobiles were shipped to CT annually. That's more than 1,034 Auto Cars per day. Looking at an NYC 1947 Routing Guide, it lists 148 freight stations in CT. That's almost 7 cars day (including weekends) per station. Although larger cities such as Cedar Hill would undoubtedly get more cars than smaller towns, I think this is balanced in part by the fact that not all towns have unloading ramps. So to me, it's safe to say that in any given operating session I'll have at least 1, but probably more, cars of automobiles delivered to the Whiting Street bulk tracks. Automotive Service Garage (Willys-Overland) 265 Elm St.
Becker Motor Sales Inc. (Chevrolet/Oldsmobile) 1141 Stanley St.
Central Motors (DeSoto) 119 Church St.
Curry Motors (Dodge/Plymouth) 1139 Stanley St.
Edward Sousa Motor Sales Inc (Lincoln/Mercury) 152 South Main St.
Moran Motors (Hudson) 403 West Main St.
New Britain Motor Car Co (Chrysler/Plymouth) 248 Elm St.
Papa's (Hudson and possibly Crosley) 724 Allen St.
Royal Motor Sales (Kaiser-Frazer) 35 East Main St. Swift & Ferguson Inc (Studebaker) 238 Hartford Ave.
Tufano Body Co (Nash) 209 Hartford Ave. The Williams Corp (Pontiac/Cadillac) 50 Chestnut St.
All of these would be serviced at the bulk track at Whiting St. Yard, where there is a concrete unloading ramp. And all would be delivered in 40- or 50-foot auto cars. Not all neighboring towns have unloading ramps, so there's a good chance autos were shipped to New Britain for them too. At some point I'll get a list of other potential consignees, at least in Berlin since Whiting St Yard is on the border. There is a lot of historical information available online regarding vintage autos and the auto industry. What isn't always obvious is what railroads service the plants. Here's what I've been able to determine for 1949. Ford and GM have numerous plants across the country, the closest plants that manufacture a given model would be servicing a given area. Although I really only need the ones east of the Mississippi, I've included all of the ones I could identify for 1949. Note that there are some differences depending on the year. Most auto manufacturers didn't introduce new post-war models until 1949. A number of new plants were built in the decade following the end of the war, so each year is a little different in that regard as well. Twin Cities Assembly, St. Paul, MN (Ford) - ??? General Motors had a primary manufacturing location for each brand. In addition to producing completed automobiles, they also produced "knock-down" kits that were sent to the regional assembly plants. Many of these plants are served by small industrial roads, also known as terminal and switching railroads, rather than Class I railroads directly to their plants. These roads typically didn't roster any freight cars of their own, cars from connecting lines would probably be the most common for outbound loads. A look at the auto industry wouldn't be complete without mentioning this shortline road that circled Detroit and was originally owned by the GTW, LS&MS (NYC), and MC (NYC) railroads. It serviced many of Detroit's auto plants, running from the Ford River Rouge complex to the Hudson and Packard plants on the other side of town. 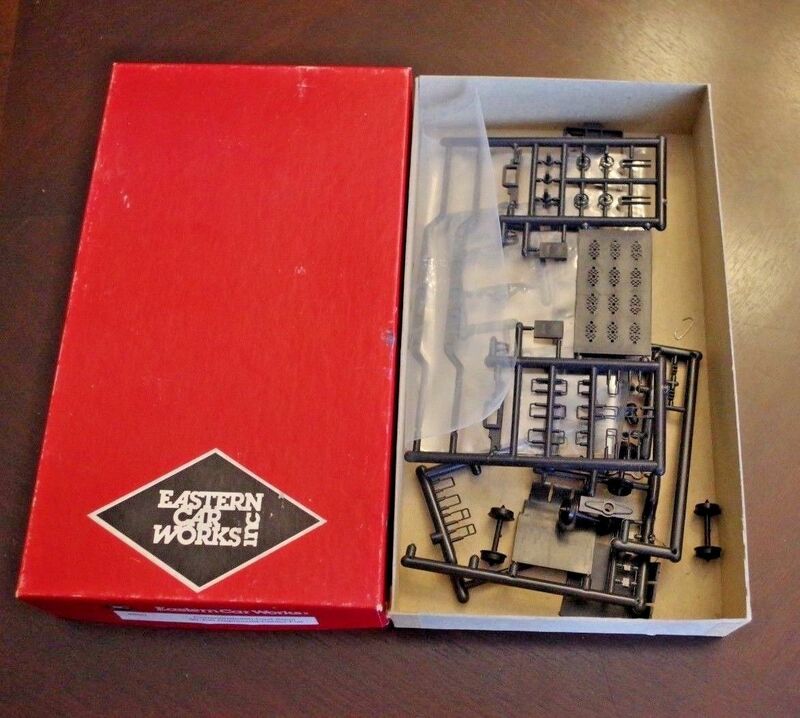 It had connections with DT&I, GTW, MC (NYC), NJI&I (WABASH), C&O (formerly PM), and PRR. Here's an article about modeling the DTR, including a map. An industrial railway originally leased to LS&MS and MC railways, both of which became part of the NYC system. Among the industries served were the Olds Motor Works (GM Oldsmobile plant), GM Fisher Body/Lansing Car Assembly #6, and the GM Buick-Oldsmobile-Cadillac Plant #2. 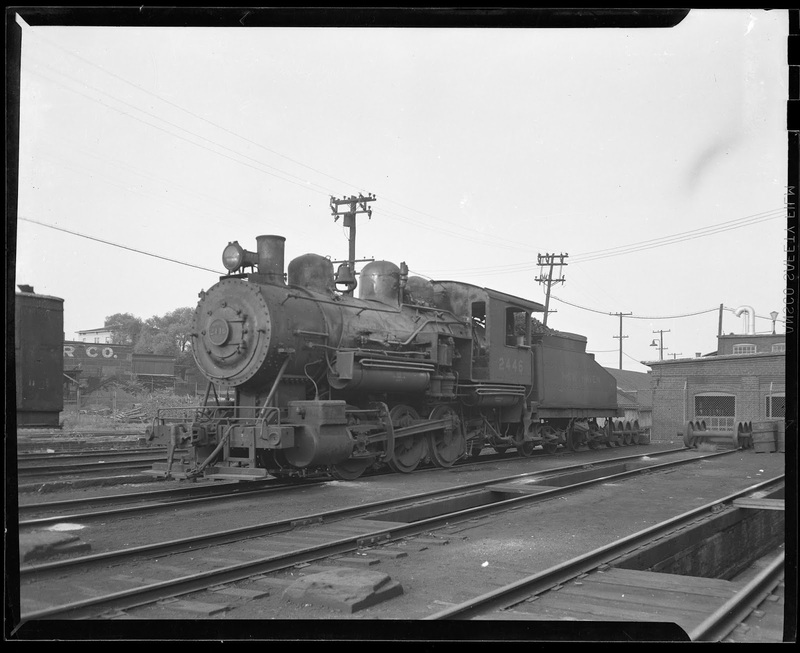 The railroad interchanged with GTW, MC (NYC), C&O (formerly PM). Here's a map of the LMR (it's also available on Wikipedia). This shortline in LA services the Chrysler and Ford Maywood Assembly Plants. It has connections to ATSF, PE (SP), SP and UP. Depending on where you model, there is a lot of additional traffic related to the automobile industry. Most of the companies had additional plants that manufactured parts, which were shipped by rail to the assembly plants. For example, in 1914, the Ford Highland Park plant received 100 cars of materials, parts and supplies, and shipped 176 cars of automobiles daily. (In the postwar era, the Highland Park plant manufactured Ford tractors). 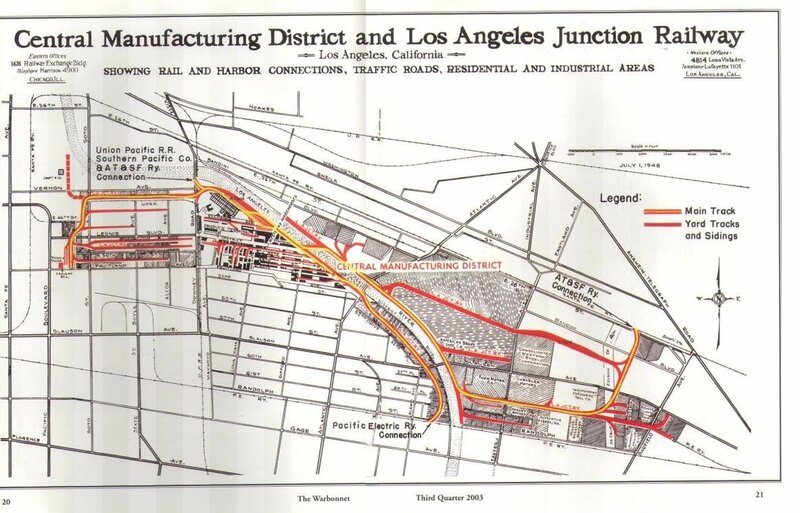 Here's a great site about the LA auto factories and dealers, including a map of the LAJ from an issue of the Warbonnet. Although none of the plants listed here are serviced by the TRRA, it's an industrial road originally owned by MP, StLIM&S (to MP in 1917), Wabash, O&M (to B&O in 1893), L&N, and CCC&StL (aka "Big Four" to NYC in 1930) , so by my era it was MP, Wabash, B&O, L&N, and NYC. In addition to those roads, it has connections to A&S, CB&Q, C&EI, CRI&P (RI), EStLJ, GM&O, IC, IT, L&M, MKT, MRS, NC&StL, PRR, SL-SF, SOU, StL&BE, StL&O'F, SSW, along with a water connection to Mississipi Valley Barge Lines. 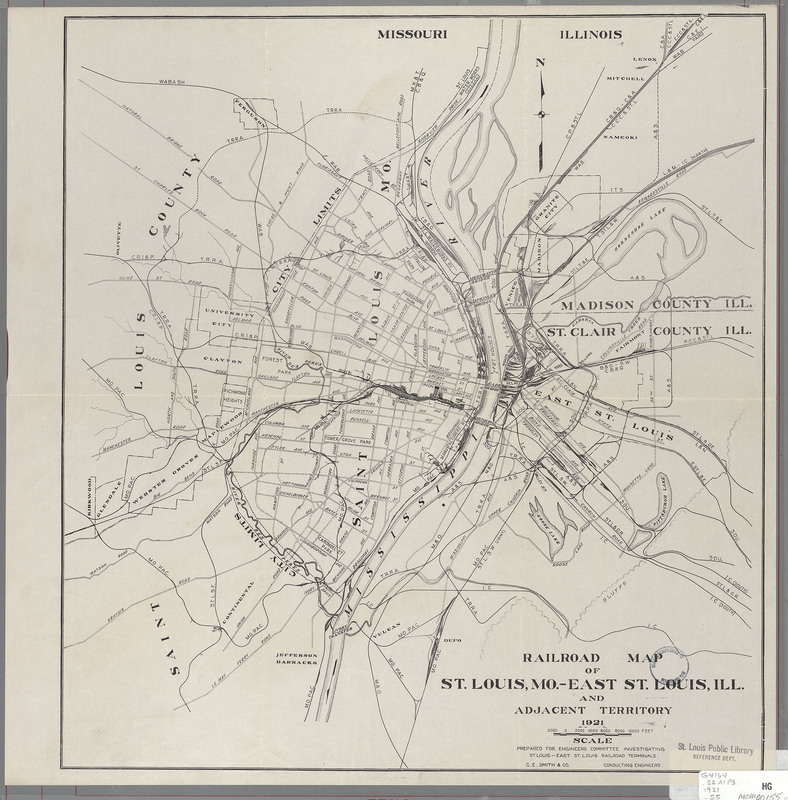 Here's a map of St. Louis railroads from 1921 at the St. Louis public library. In order to identify railroads that serviced a given plant, I used a number of resources. First is the Opsig Industry Database. I'd search for the factory and railroads to see if any sites specifically discussed that location. If that didn't work, I'd find the location (or prior location) of a factory on Google Maps, and compare it to the USGS maps at Topoquest. Another resources is the collection of Sanborn maps at the Library of Congress. In addition to the maps, check out the Articles and Essays, and Sanborn Samplers where they've collected a series of maps with a bit of historical information as examples of how the maps can be used for research, including several of particular interest to model railroaders. One of the main reasons I created my site and blog is to keep track of stuff that I research so I can go back to it later. Compiling this information in a single place makes it more useful to me, and hopefully you too. If there is information missing, or that you'd like to see that I'm not including, just let me know. And of course I always welcome corrections. I've been looking forward to building (at least one of) the gas holders for the New Britain Gas Light Company. Initially I was hoping to build the main one, which is about the size of a 5-gallon bucket if made to scale. I wasn't quite sure how I'd make the tank, but have some ideas. The walkway and ladder. The ones in New Britain don't appear to have a walkway, and stairs go to the top of the structure. The Walthers tank is one course too short, making the structure as a whole look too squat. The model as a whole looks short and squat. Dimensionally, it's about 1 1/2" too small for the diameter of the tank compared to the small tank that's in the location I'm modeling (the bigger tanks have been pushed off the layout). For some reason, the higher courses of the tank use smaller panels. That is, it appears it was constructed out of smaller sheets of steel for the higher courses. I don't have any pictures that are clear enough to see if this would be accurate or not, but I'm not sure why they would construct the tanks out of different size sheets of steel. To me, it looks like each course of the tank is stepped back too far. Again, I don't have good pictures or measurements, so this could just be me. There may not be enough supports around the tank. Like many of my issues, this might be an accurate representation of the tank they used as a prototype. If you look at pictures, there were lots of variations (especially in the framework) in the tanks that were built world-wide. The general detail (such as the bracing detail) is a bit lacking. I'm also trying to figure out how to better model the wheels that run along the tracks when the tank raises and lowers. The tank is right at the edge of the layout, and therefore very visible. Overall, my preference is for folks to see the structures and recognize them for what's being modeled, rather than seeing "the Walthers kit." Aside from the size itself, the major visual issue is the two courses of bracing versus four on the prototype. The kit comes with two sets of main supports. One makes it look like the tank is nearly full, the other with the tank lower. Using the supports for the higher tank position, I cut off the very bottom, which is designed to fit into slots in the base. I then cut off the bottom portion of the other main supports. I file both to fit together and extend the height of the main supports. I also cut off the top of the extra supports, to extend the top of the structures as well. The lowest course as designed leaves enough of a gap between the tank and the support to squeeze in another course. This is the model half-built, and here it is with the tank completed, which required a second kit to get enough pieces for the extra tank course. 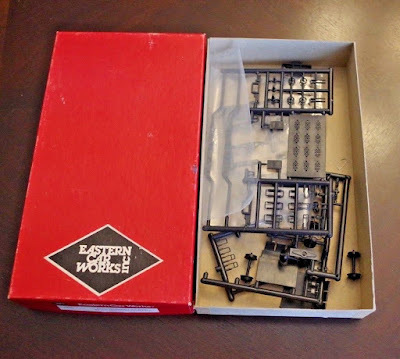 I suppose I could have tried casting the part, but it seems like the time and money for the making the mold and casting the resin wasn't really going to save anything vs. getting the kit now while it was still on sale. In addition, I have other parts in case I need them. For now I've tacked on a few of the Walthers supports with the center horizontal bracing removed. It doesn't look too bad. I think that the vertical supports may be a little too high, and I might lower it so the bracing reaches the ground, but on the Walthers' model and a lot of prototype photos I've seen, the lowest course doesn't have any bracing because it doesn't move. But overall, I like the changes. The proportions look better to my eye, and the number of courses of both the tanks and bracing match the prototype photos. I'm considering replacing the horizontal braces with channel as seen in the prototype photo, and I might scratchbuild the bracing altogether so it ends at the top of the first course. This would also allow me to end the bracing at the top of the first course, and will also make the individual sections of bracing proportioned more like the prototype.